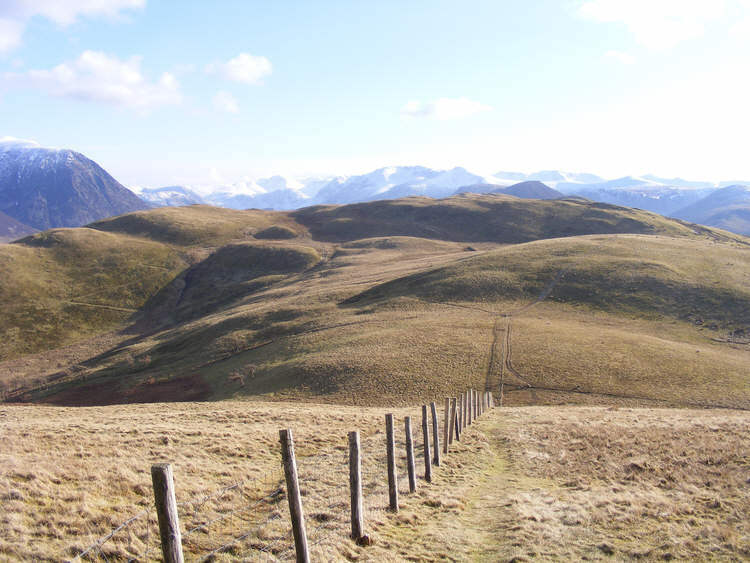 A view south across the northern Loweswater Fells from the slopes of Fellbarrow. Smithy Fell is the gentle mound to the right, Sourfoot Fell runs across the near skyline. To the left is Grasmoor End, while the small dark pyramid is Mellbreak. Beyond it are the snow covered central fells.